The Taoiseach (Irish prime minister), Leo Varadkar, will meet the US President, Donald Trump, later as part of the annual St Patrick`s Day festivities. 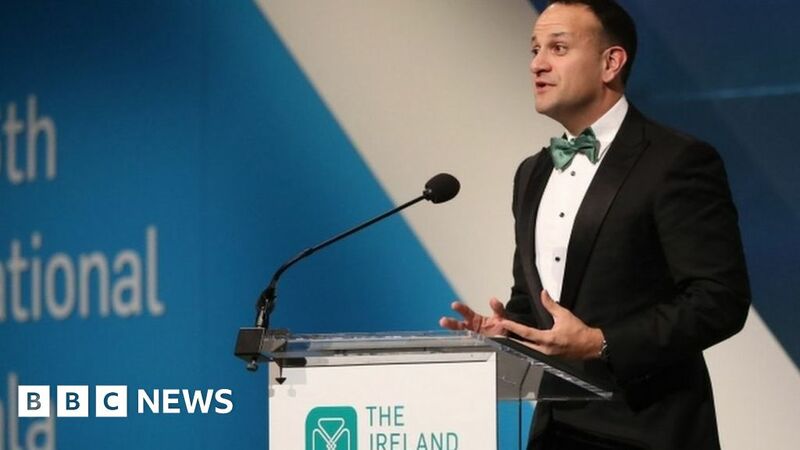 Mr Varadkar, the NI Secretary, Karen Bradley, and NI political leaders were in Washington on Wednesday night at a gala dinner to raise funds for disadvantaged communities in Ireland. The Irish PM had a diplomatic message about the welcoming ideals of liberty. He said such values made America great. "It is these spirits and these values that in my view makes America great, values which are more important than economic progress or force of arms," he said. However, trade and Ireland`s position in Europe will be at the top of his agenda. Mr Varadkar said he will use the 40-minute meeting to highlight Ireland`s economic relationship with the US and emphasise that there should be no new barriers to trade. Mr Varadkar also plans to discuss Ireland`s unique position in a post-Brexit Europe. Ireland will be the only English-speaking country in the European Union and the country closest to America in terms of culture and business. He sees this as giving Ireland an enhanced role as a bridge between the EU and the US. After his meeting with President Trump, Mr Varadkar will attend a lunch on Capitol Hill before returning to the White House for the traditional St Patrick`s Day shamrock ceremony. DUP deputy leader Nigel Dodds was among those in attendance at the Ireland America fund gala dinner. Mr Varadkar has said efforts should be redoubled after Easter, to resolve the political deadlock at Stormont. Mr Dodds appeared doubtful about Mr Varadkar`s hope that there could be a successful outcome to such talks aimed at restoring devolved government to Northern Ireland. "What we say to people everywhere is `Yes, let`s get devolution up and running`, but the prospects for talks to get this done are, I think, pretty remote," he said. "I think what we now need is a period of decision making and I`m glad that over the next few days in Parliament that the secretary of state is going to devote two full days for legislating for Northern Ireland.
" Mr Varadkar is making his first visit to a White House occupied by Mr Trump. Two days ahead of Ireland`s national holiday, both President Trump and his staff will host two events to mark St Patrick`s Day. Mr Varadkar has already indicated that his predecessor, Enda Kenny`s invitation to the US President to visit Ireland still stands. Sinn Féin president Mary Lou McDonald, who is also in Washington DC, said any renewed process had to have a real prospect of success. "We need to be sure that delivery is possible," she said. "The taoiseach hasn`t put any specifics on the table, we wait to see what he has in mind, and we will seek to meet with him.